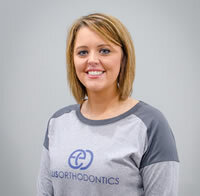 As our lab tech, I handle everything from intraoral appliances to various types of retainers. 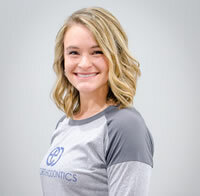 I graduated from IU school of dentistry’s dental assisting program and joined Dr. Ellis’ team in 2018. I love interacting with patients and learning a little about everyone that I meet. I like knowing that the work I do directly affects our patients’ treatment outcome. I’m very glad to have found my place here, alongside such patient, genuine, easy-going people. In my spare time, I enjoy hanging out with my family and dog, Arlo. I also grew up with horses so I spend a lot of time riding my two horses with my friends and siblings. Outside of that, my family and I work closely with a dog rescue by fostering dogs and puppies and helping place them in their forever homes. As the treatment coordinator, I get the privilege of working with all the patients in the office. I get to find out what they want for their new smile, and help make sure they get off to a good start here at the practice. 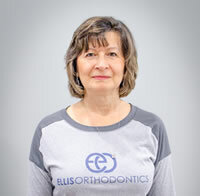 I also help Dr. Ellis understand patients’ primary concerns about their smile. It’s so rewarding to help our patients finally get the smile they desire. Meeting new people is also very fun. 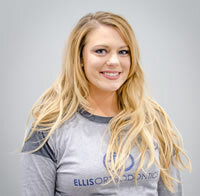 No two smiles are the same and being able to watch Dr. Ellis and our team work their magic and get the results anybody would want is so much fun. He is a perfectionist who always does what is best for our patients. I am married to my high school sweetheart Shane and we have a son Braden. When we are not at work or school, you can find us on a baseball field somewhere. We love watching Braden play. We also are very active in our church and we spend as much time with family as we can. 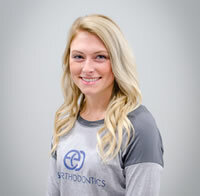 Hello, I am Ashleigh and I have been assisting for about nine years. I can literally do everything in the office. I would like to think it would go down like the Titanic without me, but I know that a good office requires good teamwork. We have that here! I have never has a much fun working as I do now. The chemistry between all of us girls and Dr. Ellis is awesome. There is never a dull moment! I have been married to my high school sweetheart for more than six years. We have two amazing kids, two rescue dogs, and six chickens. We love animals and livestock and hope to grow into a farm someday. I love exercising, hiking, and basically any outdoor activities. As a family, we enjoy church, family gatherings, and enjoying the outdoors. I have been a part of this practice since 1986! I answer the phones, make appointments, check patients in, and facilitate the flow of patients in the clinical areas. It is fulfilling to know that the service we provide is going to make a difference for the patient, even though they may not realize it at the time. When they are finished and can see the difference and change, it’s really something to witness! When I’m not in the office, I love traveling, seeing new places, planning trips, taking new adventures, and living life to the fullest! Hey y’all! My name is Christina. 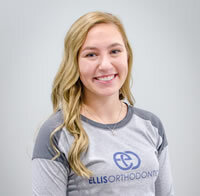 I am one of Dr. Ellis’ chairside assistants, as well as our office’s official social media girl and cookie maker! I have been a part of this office since 2013 and am excited to start a new chapter with Dr. Ellis. 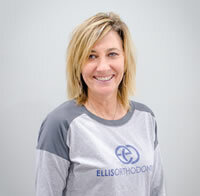 I enjoy working with Dr. Ellis because he is loyal, honest, and puts his patients first. My coworkers are also amazing. We work great together and know each other’s next move. I’ve been married for three years to my wonderful husband Devin. We have one sassy daughter. In my free time, I love to spend time with my family and shop. My family and I are big in agriculture and enjoy working with 4-H animals. 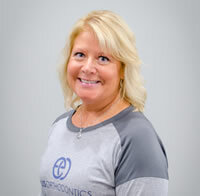 My objective is to make sure that every one of our patients has the most rewarding dental experience at our office. I specialize in communications with our Spanish-speaking patients, so I can help with translating treatment plans and all paperwork as well. I feel fortunate to work for my son, who loves what he does and truly cares for his patients and staff. I'm very proud of the excellent doctor he's turned out to be. In my time outside the office, I enjoy sewing, reading, and traveling with my husband. I also love spending time with my grandkids! I went to school for medical receptionist but ended up in the dental field, and I’m so glad I did. There is nothing like seeing patients after their treatment is completed and what a difference we have made in their lives. I worked in general dentistry, oral surgery, and orthodontics before joining this practice in 1988. I love the comradery that we share on a daily basis. We all have the ability to work together as a team to provide a remarkable outcome. My husband Bill and I live in Greenwood with our two beagles. We have one daughter Shelby. We love to spend time at the lake and enjoy traveling. One of my favorite passions is Kentucky basketball. I have been a Kentucky fan as long as I can remember and I definitely bleed blue! I attended Walker Career Center to complete my dental assisting program 23 years ago. I then worked in endodontics for three years, then in a dental lab for a year. However, for the last 19 years, I have been doing orthodontics! My favorite part of my job is watching the patients progress and knowing I have been a part in their amazing transformation. In addition to helping implement our patients’ specific treatment plans as an assistant, I also coordinate all of our fun promotional campaigns. I am married and have two kids. I have a zoo at my house that consists of two dogs, two cats, and a pig! In the summer time, I enjoy having get-togethers at my house around the pool with friends and family. I attended Ivy Tech for my certification and worked in general dentistry for three years before shifting to orthodontics. 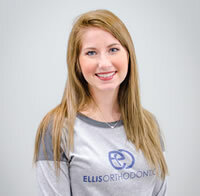 I assist Dr. Ellis with many aspects of patient care, including applying and removing braces and changing out wires. My favorite part of my job is seeing the transformations of our patients’ smiles from start to finish. Their smiles are the best part of my day! My husband and I have three little boys who are always full of adventure. In my free time, I collect RaeDunn Pottery and enjoy country concerts. 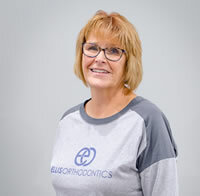 I have been working in orthodontics since I was 18 years old, and have been fortunate to work with some of the best orthodontists in the state of Indiana. My favorite part of the job is interacting with all of the wonderful patients we get and assisting with their unique treatments. I have known Dr. Ellis since he was a teenager, and it is a privilege to work with him and his wonderful team. I married my high school sweetheart in Bill. We have raised two daughters. One is married with and gave me my first granddaughter: Paisly Ann. My youngest daughter is getting married next spring. We love to have family get together's at my house. We also enjoy spending time at Brookville Lake. I graduated from Indiana University School of Dentistry with a certificate as a expanded functions dental assistant, I am certified in coronal polishing and fluoride as well. Before dental school I worked in a Orthodontic office doing sterilization after school. The best part of my job is seeing our patients wonderful smiles when they finally complete treatment. I enjoy working at the office of Dr. Ellis because everyone in our office gets along very well and we often get together outside of work. 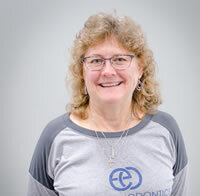 Dr. Ellis is a great doctor to work for and makes work fun! I have a dog and two cats, I enjoy being outside and spending time with family.